Based in Colorado, Infuzionz is an extraction company that operates in alongside The Green Solution. The company produces a variety of cannabis concentrates and infused edibles. They took 2nd place for Best US Solventless at the 2014 US Cannabis Cup in Denver. 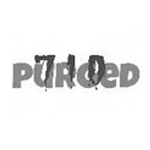 Based in California, 710 Purged is a cannabis concentrate company that is best known for their impressive showing at the Secret Cup. They took home first place in the highest terps competition for their Oil Del Plat Shatter. 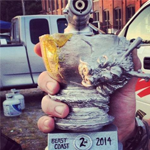 Something Better Concentrate Company is a collective of extractors that is best known for their impressive showing at the inaugural Secret Cup Beast Coast regional held in Rhode Island. The company specializes in producing BHO in the shatter consistency. 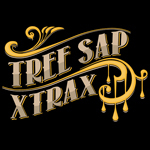 Tree Sap Xtrax specializes in tree sap. Tree sap is a 100% solvent-free cannabis concentrate, unmatched in its supreme potency, purity, and flavor. Tree sap is a translucent oil, up to 93% THC, and is activated and developed to make it effective in oral and trans-dermal applications. Available in “RAW SAP” form, and with introduced all-natural flavors and terpenes.